This week's report is a day later than usual as yesterday was my birthday. 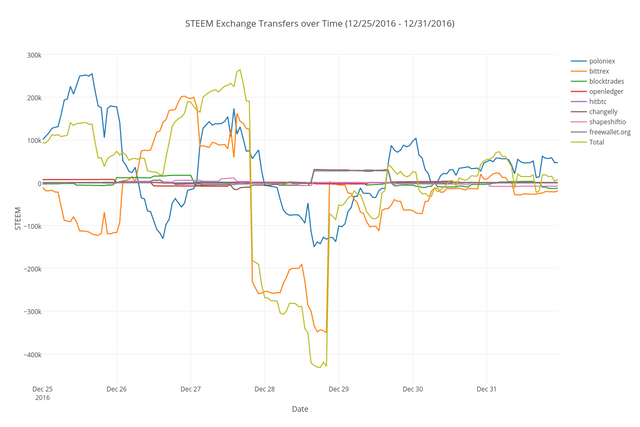 Here are the hourly breakdowns for the past week as interactive graphs. 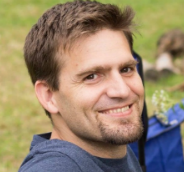 The code I use to get this data is on Github if you want to poke at it yourself. 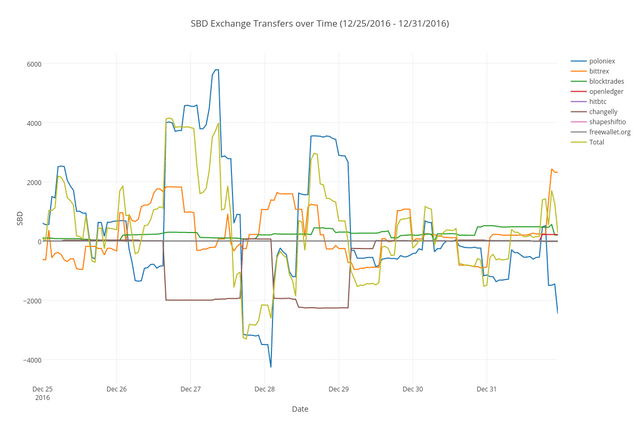 Last week we saw a huge jump in the number of accounts withdrawing compared to depositing on exchanges: 8.68 to 1. That is by far the largest ratio we've ever seen. This doesn't seem like a good thing. 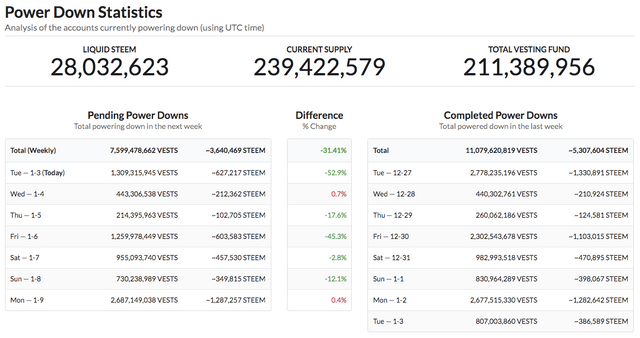 How will Steem Power be distributed unless more people are buying STEEM and powering up? 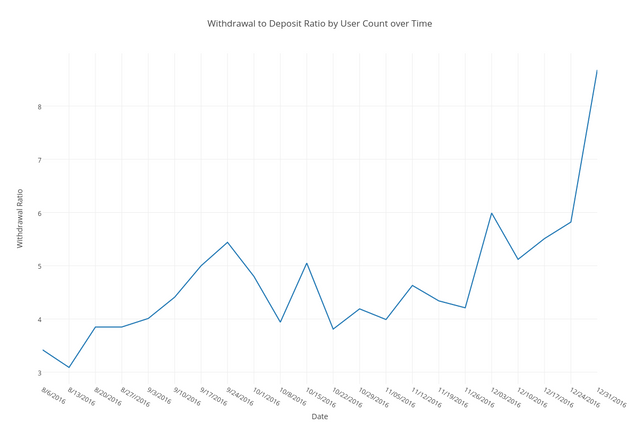 If you look at the graph for the withdrawal to deposit ratio, it's just gotten worse and worse. Am I missing something here? Is this a sign of a larger systemic problem or just another thing which will work itself out over time? Surprisingly, even with the large number of people withdrawing, the total amount was fairly low compared to other weeks at $14,361. The main reason for that low amount was massive deposit by @tamim of $63,568. This is how new whales are born. You're welcome! I'm glad you find them useful. Secondly: Thank you for the information. And thank you to @tamim for that huge deposit or I think the scales would definitely be tipped more. Thanks @merej99! And happy birthday to you also! Yeah, I'm really curious about these anonymous new whales who are powering up. 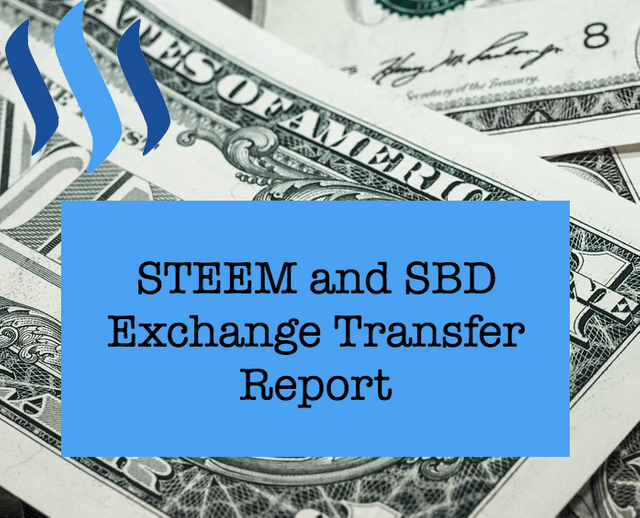 Steemit is giving out value every single day... if investors don't keep buying it up, the price has to go down.